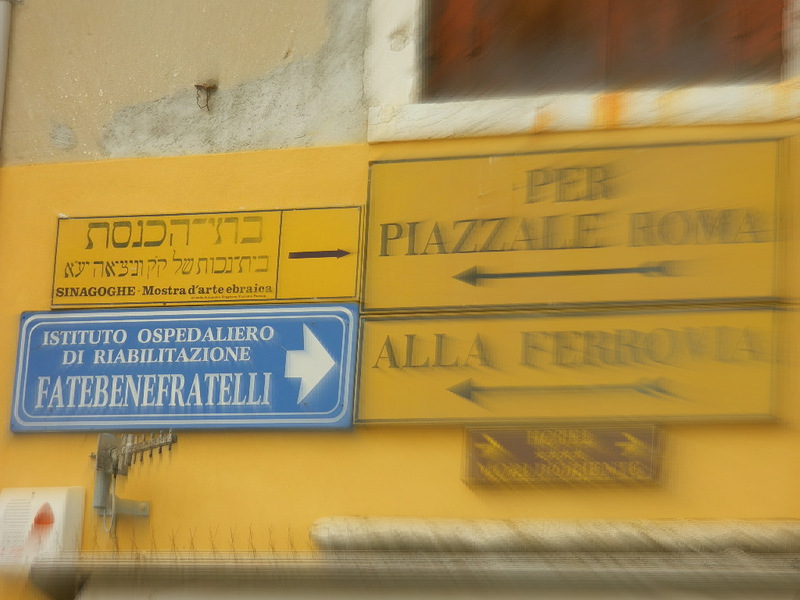 Venice has the dubious distinction of being home to the world’s original ghetto, the area where in 1516 all the city’s Jews were ordered to move to. This came on top of other economic and social restraints, although the oppression was still less severe than in other parts of Europe and, ironically, these Dark Ages were not as dark as the allegedly enlightened 20th century. but like in other Fascist/Nazi countries in Europe, this did not protect the community from the Holocaust only a few decades later. 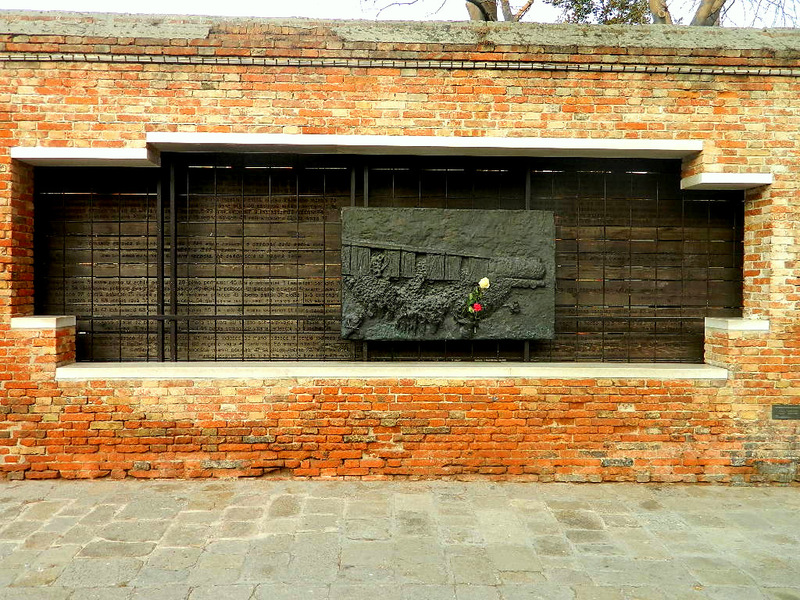 The memorial The Last Train commemorates the Venetian Jews deported to concentration camps. 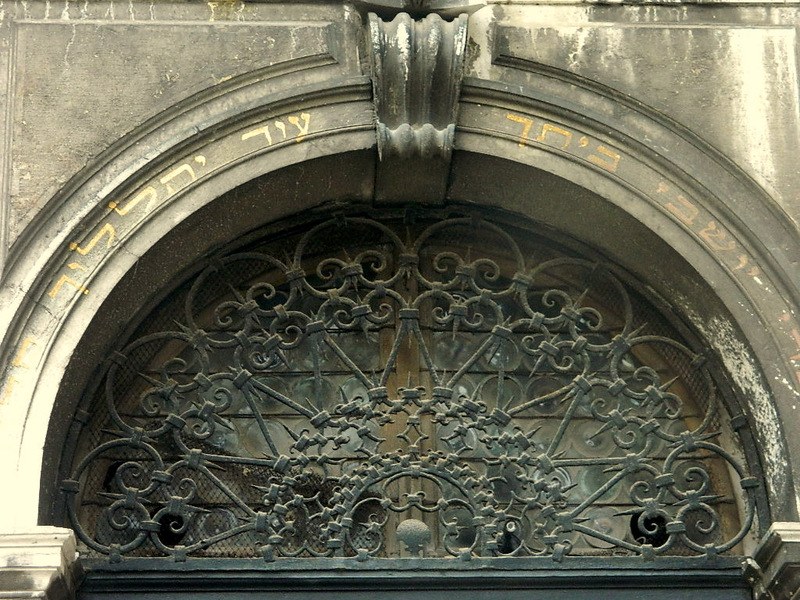 There is a Jewish Museum in the ghetto, but you shouldn’t get the wrong impression that the whole ghetto is a museum. 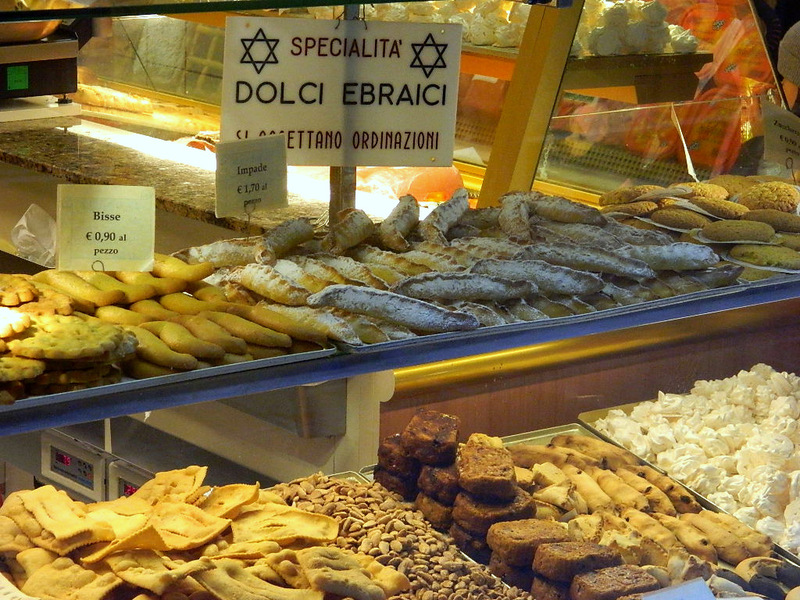 People, now of all religions, live there, as this active bakery attests to. 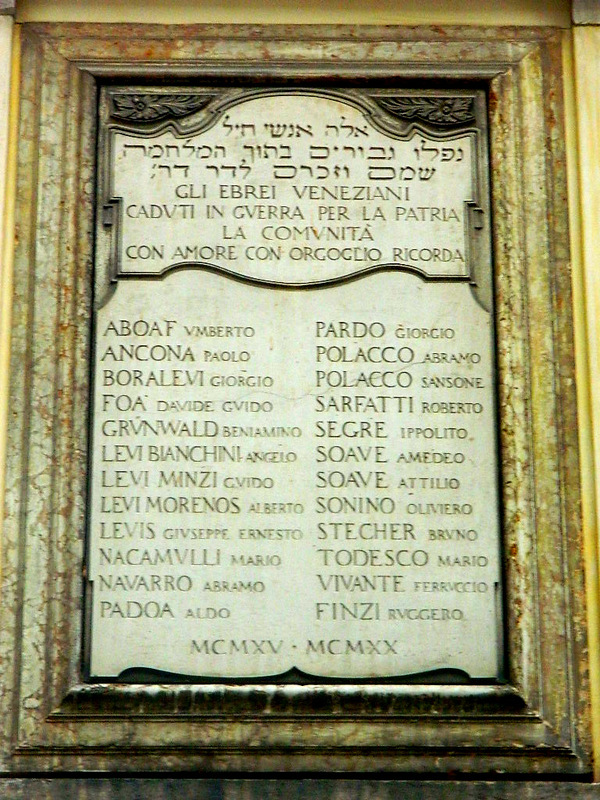 This entry was posted in History, Holocaust, Italy, Photography, Religion, Travel and tagged ghetto, Jews, Venice. Bookmark the permalink. By the way do you know Efraim kishon’s piece on Venice? It’s very funny. I thought I have read most of his books/stories, but I don’t have an active recollection of it. I read them as a child/teenager, a long time ago. The Venice photos are all from February 2012, but I thought it’s high time that I put them up (more coming soon).